With an ever-increasing consumer interest in food safety and quality combined with the added visibility and global communication of food recalls, sanitation and quality issues, the importance of testing continues to grow. For every stage of food preparation and handling before it shows up at the grocery store, testing methods help to prevent food-borne illnesses and protects against things such as E. coli, yeast and mold, and Listeria. Testing methods for various food quality, indicator-type, microbiological groups (e.g., total aerobic counts, total yeast and mold counts, coliform counts and Enterobacteriaceae counts) and specific microorganisms (E. coli counts) are required to deliver sample inputs for both food processes and products, using the same platform. Training to make and use agar-based media is often a long-term, multi-step process that requires significant training time for the trainer and the trainee. The agar methods also require, at a minimum, lot verification testing to show that the media characteristics have not varied from the prescribed formulation and performance results. In addition, these procedures require considerable time and labor. 3M™ Petrifilm™ Plates were introduced offering a new microbiological, quantitative plating platform that changed the food industry by eliminating all the agar media preparation. These new methods incorporated sample ready, self-contained, dehydrated culture media that are designed to be used for the same hydrated samples as agar-based media with no media preparation – including powder weighing and mixing with high quality water, pre-heating and mixing, additional heating or sterilization, tempering and plate pouring. Easy-to-interpret (the incorporation of chromogenic indicators and dyes in the ready to use 3M Petrifilm Plates that stain colonies and the medium around them). Lot-specific Certificates of Analysis for each 3M Petrifilm Plate attesting that the products perform to prescribed specifications. How do we keep our environment in balance? As we’re well into the 21st century, more focus has been placed now than ever on finding ways to minimize the impact of our ever-growing carbon footprint as industries and the population continue to grow. The balance we strive to find competes our desire and growing need to move forward in technology and industry with a population surplus, while also protecting the resources found on earth. 7 hours of technician time saved per day. With reliable and accurate testing methods, confidence in operational effectiveness is combined with minimizing impact, your lab can help to meet the Sustainability goals of your company. 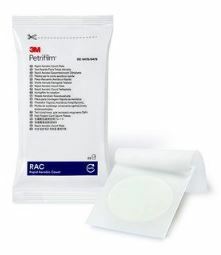 3M Petrifilm Plates offer a more sustainable alternative than traditional agar methods. Good Laboratory Practices require that precision and accuracy for each testing method is validated to show required efficacy of the testing methods from the various samples with target and non-target microorganisms, as well as matrix interference effects, and verification that the actual test method performs to expectations on an on-going basis. The AOAC Research Institute which was incorporated in 1991 serves as an “independent, third-party, nongovernment administrator of both the AOAC PTM and OMA programs for alternative and sole source methods.” 3M Food Safety takes these programs very seriously, and our 3M Petrifilm Plates are rigorously tested for quality, functionality and repeatability. Awards around the globe: 3M™ Petrifilm™ Plates have received additional product validations, certifications, and recognitions in Australia, Brazil, Canada, Chile, Columbia, El Salvador, Japan, Korea, Mexico, New Zealand, the Republic of South Africa, Venezuela, and Vietnam. More recently, the 3M™ Petrifilm™ Rapid Aerobic Count Plate earned its Official Methods of Analysis (OMA). This product features a new indicator technology that makes colonies easier to interpret. This sample-ready-culture-medium system provides results in as little as 24 hours of incubation time. Additional information on our validations can be found here. 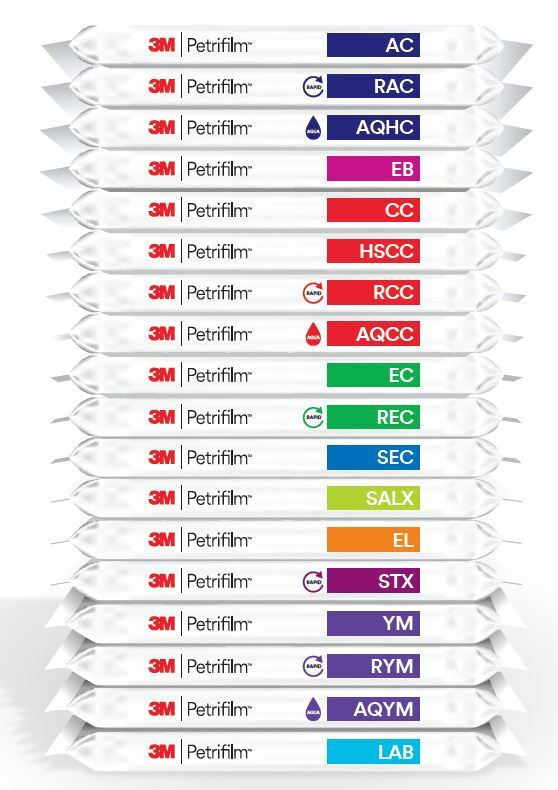 3M Petrifilm Plates currently have 161 certifications/validations from 29 regulatory bodies where the products’ performance has been measured against agar-based methods. Using 3M Petrifilm Plates can provide significant product consistency and contributes to substantial sustainability savings over traditional methods. Work to increase efficiency and maintain accuracy with a total 3M Food Safety testing solution, from sample collection and preparation to monitoring and detection in industries such as Dairy, Meat, and Ready-To-Eat (RTE). Need more information on the total 3M Food Safety testing solution? Simply reach out and we’ll be happy to help you with any questions you have. Contact a rep here.